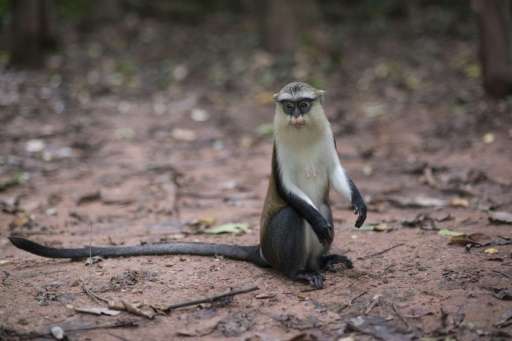 The villagers of Tafi Atome, in Ghana's Volta Region, grew up listening to tales of their spiritual links to the 1,000 or so mona monkeys that inhabit the surrounding lush forest. 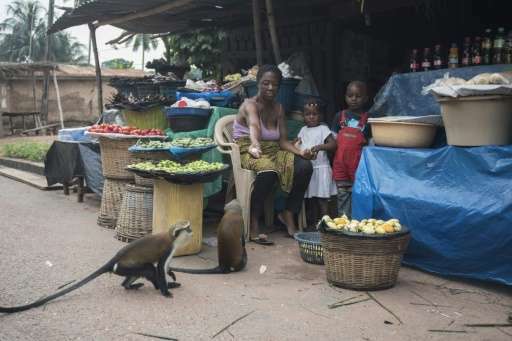 "People in the community treat the monkeys in a very friendly way just because of the benefits we derive from tourism," Acquaye told AFP. "Everybody supports what is here. "So the monkeys are our friends, they are our brothers and sisters." "They all say 'welcome' to you, which is really cool," she enthused. And when people carry food on their heads, especially if it's bananas or corn, they need to be wary, he said. "You need to give pieces of those to the monkeys otherwise you will be carrying monkeys on the load (too)," he added. "We give them food when we have it. We give them banana and maize and other things and they are no longer afraid of us," she said. "Even though they are animals and we are humans, we are living together as one." 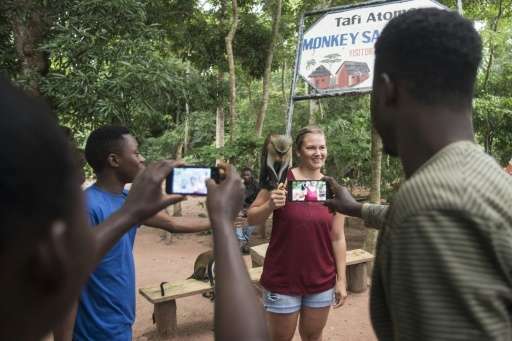 The Tafi Atome sanctuary is one of a handful of successful eco-tourism projects across Ghana that aim to protect the region's culture and environment while providing resources to local communities. A recent report by the Oxford Business Group research consultancy said that even though it was still in its early stages, eco-tourism in Ghana had "significant potential" as the number of overseas visitors to the country increases. The co-founder of tour operator Sunset African Tours, Naa Oyoe Ofei-Aryeh, said people are currently more likely to visit the slave castles along Ghana's coast or attend cultural festivals. The term has a broad definition but for Panou it's simple: "Be proud of your culture, protect what you have and then add value to it instead of destroying what you have to create new things." "We need to let the community really understand what they are selling, why, what they have and then they need to be proud of who they are," Panou said.